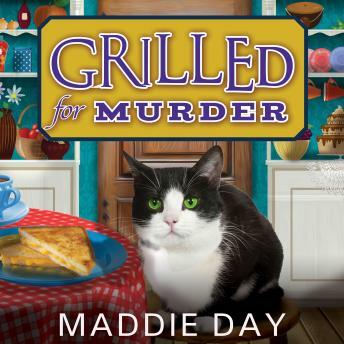 Robbie Jordan may have had reservations about the murder victim, but she still needs to turn up the heat on a killer if she wants to keep her new restaurant open for business. In the charming small town of South Lick, Indiana, Robbie has transformed a rundown country store into the runaway hit Pans 'N Pancakes. But the most popular destination for miles around can also invite trouble. Erica Shermer may be the widow of handsome local lawyer Jim Shermer's brother, but she doesn't appear to be in mourning. At a homecoming party held in Robbie's store, Erica is alternately obnoxious and flirtatious-even batting her eyelashes at Jim. When Erica turns up dead in the store the next morning, apparently clobbered with cookware, the police suspect Robbie's friend Phil, who closed up after the party. To clear Phil and calm her customers, Robbie needs to step out from behind the counter and find the real killer in short order . . .